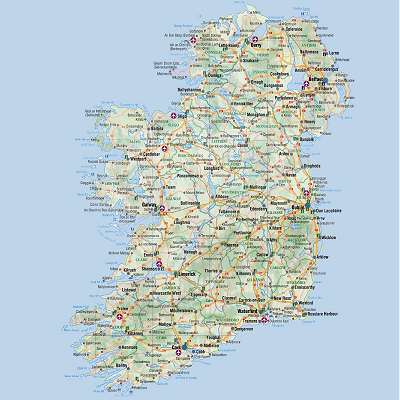 The most popular Tourist Attractions in Ireland are listed on this page. 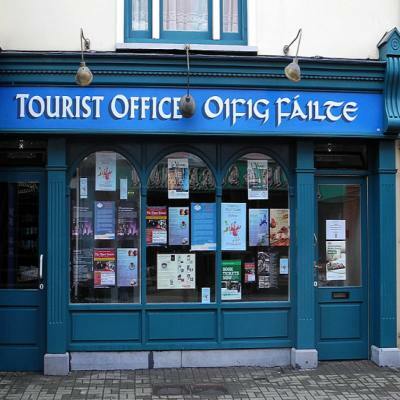 They are divided into 'free' and 'pay-for' venues and represent the best things to do in Ireland for visitors. 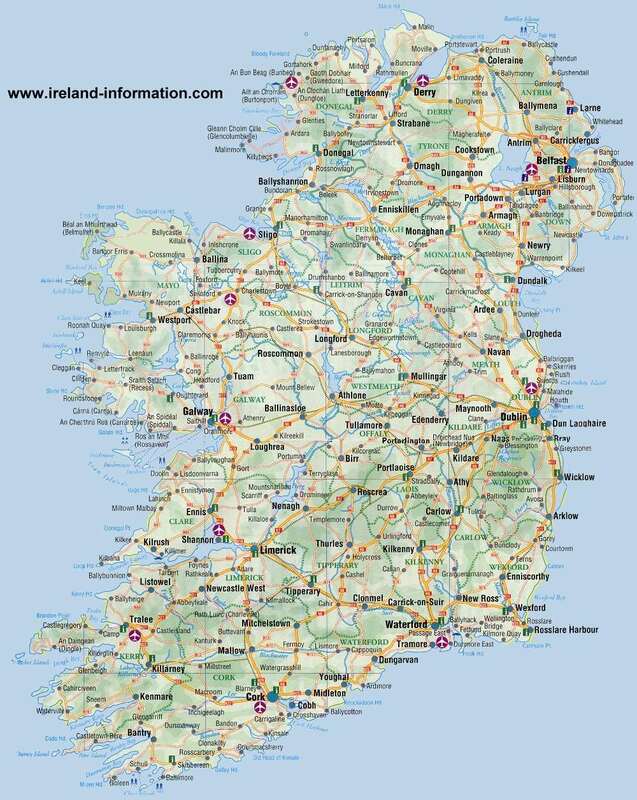 View a large Map of Ireland to help you plan your trip. The site of the Monastery at Clonmacnoise has been described as the 'lost city of ancient Ireland'. Located in County Offaly the serene setting on the bank of the river Shannon is home to the Monastic ruins and the massive high stone crosses that really have to be seen to be believed. 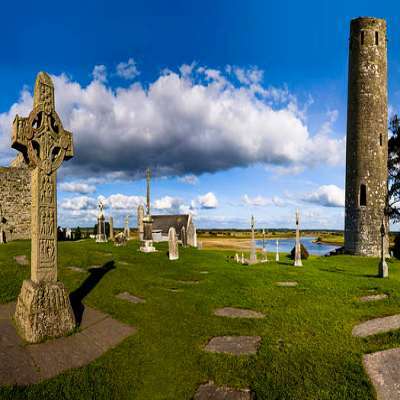 Clonmacnoise is the very heart of ancient Ireland, both figuratively and literally. The Gardens and Waterfall at Powerscourt in County Wicklow offer ne of the best day-trips available during your stay in Ireland and are easily accessible from Dublin City Centre. 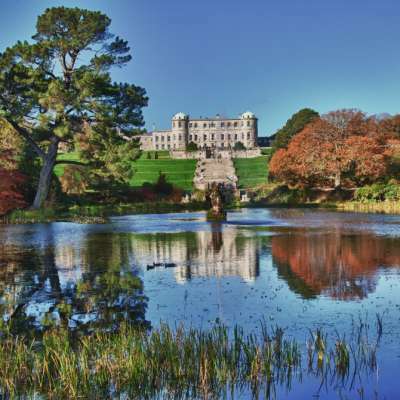 The magnificent manicured gardens roll out majestically from the restored Powerscourt House. A fine cafe and shopping experience only add to the enjoyment at a venue that is certain to be enjoyed by all.. 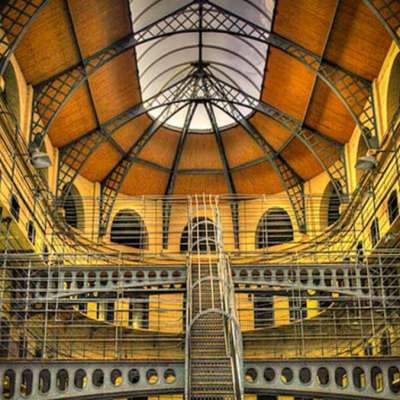 The Dublin home to Ireland's art treasures tops the list of 'free to visit' attractions in the entire country and it is easy to see why. 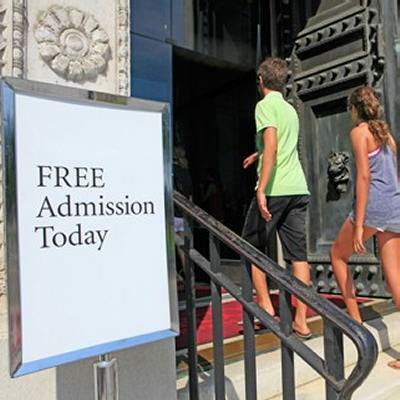 The Gallery offers free guided tours and audio-tours and is very well regarded for its collection of Italian Baroque and Dutch masters paintings. The Gallery is adjacent to Merrion Sqaure, a small but quite lovely park - perfect for a stroll around after the Gallery! 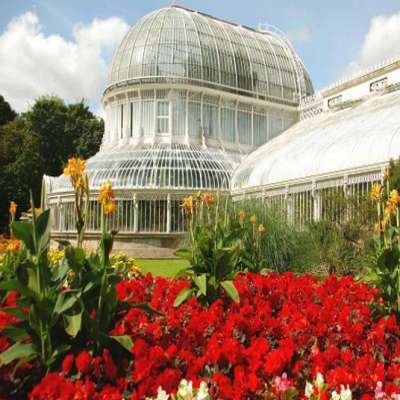 The Botanic Gardens are located in Glasnevin in Dublin, about 3.5 miles from the city centre. The gardens are one of the hidden gems of Dublin city with marvellous walks, flower-beds, a walled vegetable garden, beautifully kept greenhouses as well as a newly built visitor centre with a fine cafe and exhibit hall. 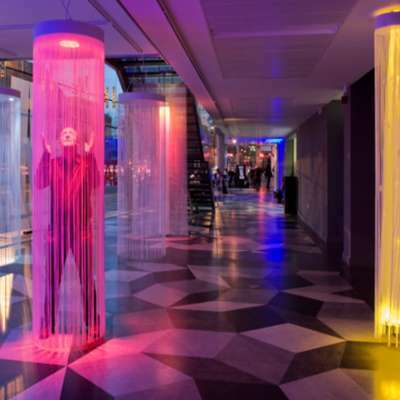 Musical, photographic and garden events are staged throughout the year. The Guinness Storehouse is a handsome four storey building, houses the World Of Guinness Exhibition, an Advertising Gallery, the Guinness Zone which displays Guinness Advertising past and present, an audio visual show on the history of Guinness in Ireland, a model Cooperage and Transport Museum, a Souvenir Shop, a Coffee Shop and a lively bar where you can sample some of Dublin's finest brew at your leisure. 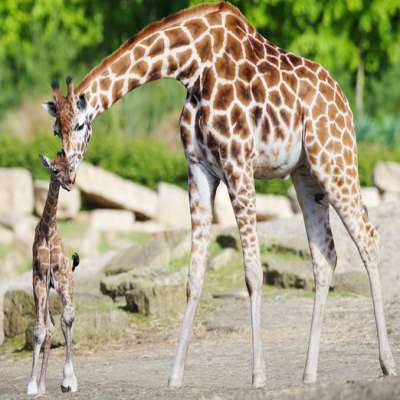 Only 3km from the City Centre in the vast Phoenix Park, a wander around the Dublin Zoo 30 acre site will take you on a voyage of discovery that stretches from the fringes of the Arctic to the Plains of Africa via Indian Rainforest. 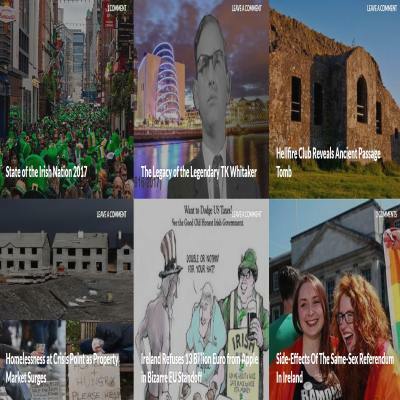 Dublin Zoo is recognised as one of the most modern in Europe. Crucially though it's primarily a great day out for all the family. See lions and tigers, gorillas, chimpanzees and orang-utans, rare monkeys, rhinos, hippos, giraffes and many more exotic and endangered species. 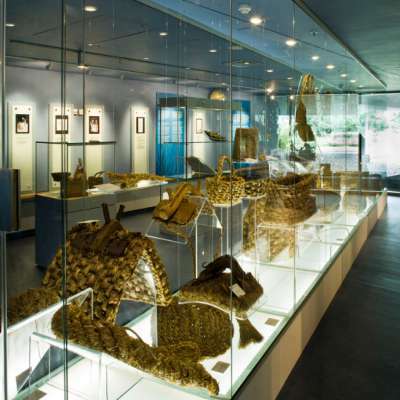 Here you can view the famous Ardagh Chalice, the Tara Brooch and the Derrynaflan Hoard, as well as the Faddan More Psalter exhibition. 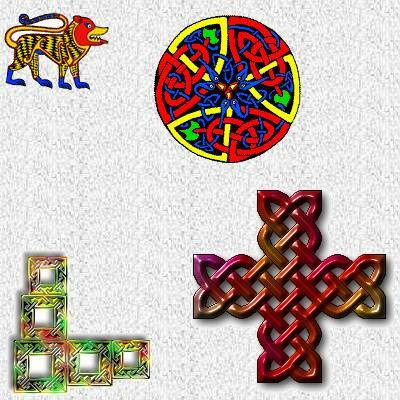 Other collections include the 'Kingship and Sacrifice' collection and an important collection of Irish gold artifacts. The Viking collection is also one of the highlights of any visit to the museum. Audio Guides are available at the reception desk and are a great way to enhance your visit. 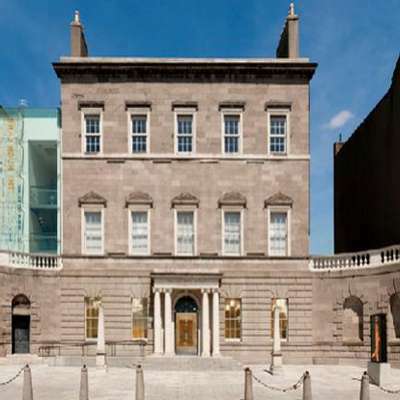 The focus of the Irish Museum of Modern Art is to acquire contemporary artwork by living artists while maintaining a collection of art dating from the 1940s onwards. The Royal Hospital in Kilmainham is a formidable and impressive location and although a bit off the beaten track it is well worth a visit with its fine courtyard, noble facades and a restored baroque garden and chapel. 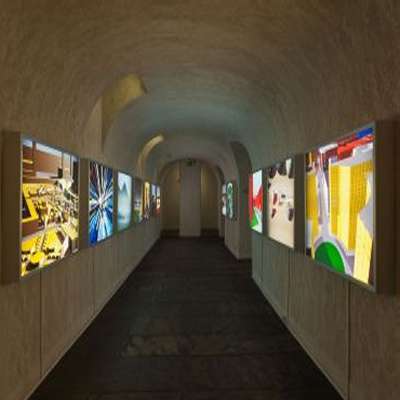 There is a very extensive exhibition program run by the museum with a cafe and bookshop located in the vaults. Trinity College Dublin is the oldest university in Ireland. 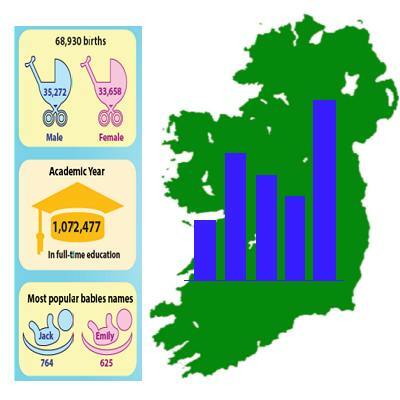 Founded in 1592 by Queen Elizabeth I, the College is in an enviable position in the heart of Ireland's capital. 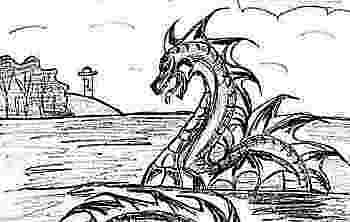 Its forty acre site retains most of its cobbled squares and other world seclusion. The gardens and parks have a unique collection of buildings dating from the 17th to the 20th century. 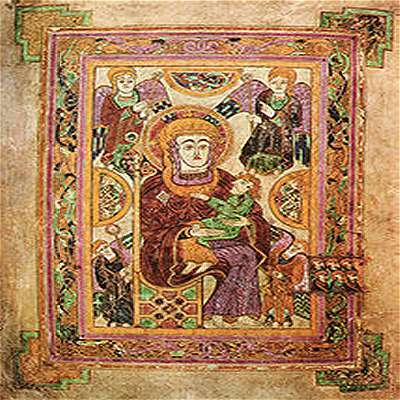 The Book of Kells is a ninth century illuminated manuscript of the four Gospels and is on view in the Old Library along with the Book of Armagh and the Book of Durrow. The Library adjacent to the exhibition is also well worth a visit. Just north of Lahinch, on the coast of West Clare, are the Cliffs of Moher. Natural ramparts against the might of the Atlantic, they rise in places to over 215m and stretch for almost 8km. It is here that the visitor can most easily get a feel for the wildness of the terrain over which the Celts wandered. O'Brien's Tower, constructed in the early 19th century as a viewing point for Victorian tourists, is located on Mohers highest cliff. 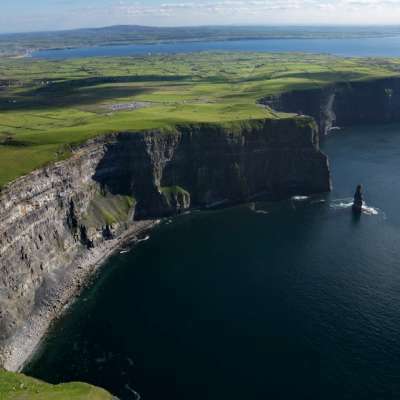 From its vantage point you can view the Clare coastline, the Aran Islands and mountains as far apart as Kerry and Connemara. The Cliffs can be visited daily, all year round. 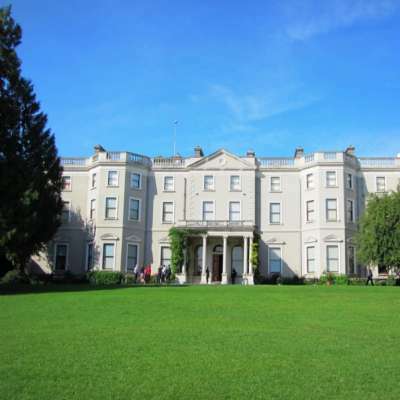 Farmleigh House is located in the Phoenix Park in Dublin which is one of the largest city parks in the world. The House is located on a 78 acre site and was purchased from the Guinness family by the Irish Government in 1999. It has been extensively refurbished and serves as Government accommodation for visiting dignitaries as well as being open to the public. 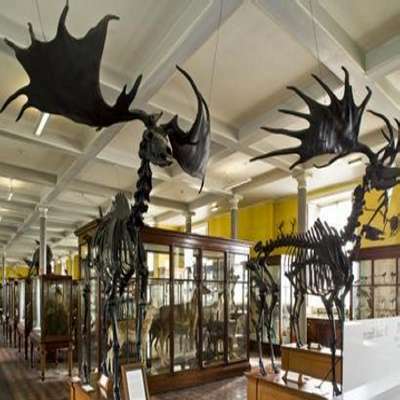 A great day trip might incldue a visit to nearby Dublin Zoo, or simply take in a lovely walk around the park itself. 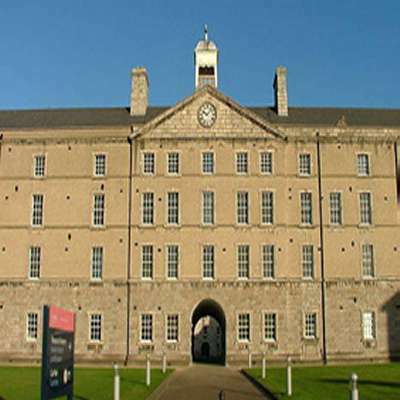 The Art & History Museum is located in Collins Barracks on Benburb Street in Dublin City. 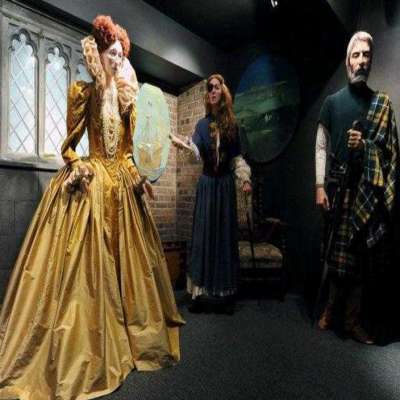 The Museum houses a vast range of objects including weaponry, furniture, silver, ceramics and glassware and Irish costumes. Permanent exhibitions include 'The Easter Rising Exhibition' and 'Airgead: a thousand years of Irish coins'. 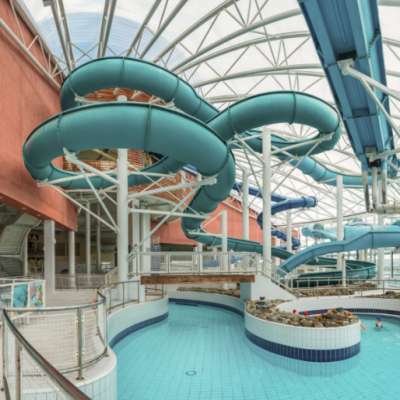 The centre is one of the largest indoor water centres in the world boasting marvelous facilities including an international standard swimming pool, an international standard diving pool, and extensive leisure waters in the AquaZone including adventure water rides, children's play and wave pools. 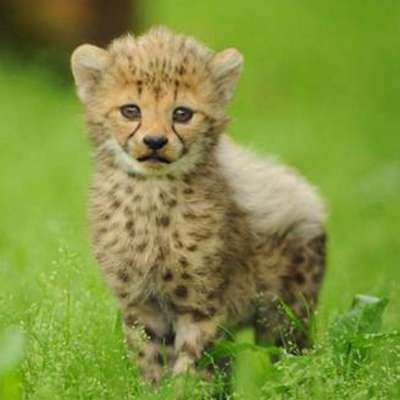 Fota Wildlife park is located on Fota Island in County Cork and is home to nearly 30 mammal and 50 bird species. The park is located nearby scenic Cobh with its Titanic exhibit as well as Cork city with its easy access to all that the County has to offer including Blarney Castle, Bantry House and Gardens, Jameson Heritage Centre, The West Cork Model Railway Village and much more. 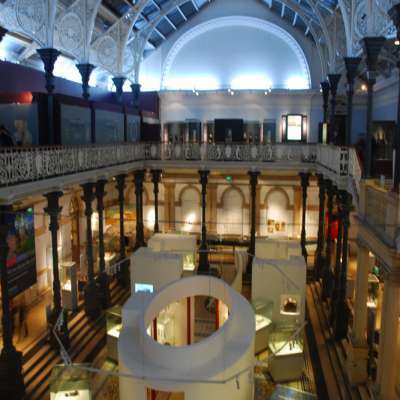 The Natural History Museum is certain to appeal to children more than some of the other Museums in Dublin, (for example the National Gallery). It is in a great location and is adjacent to Merrion Square that is great for a stroll and houses a small playground. St. Stephens Green is just a couple of minutes walk away and boasts a much larger playground so this part of Dublin should be considered if you have the kids in tow! 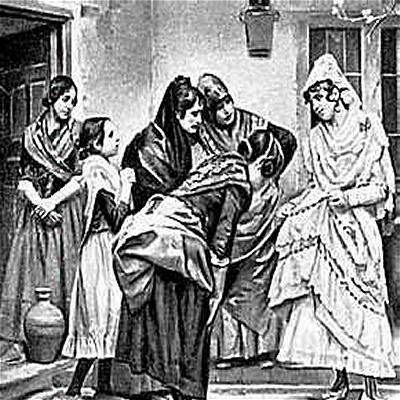 The Library is a collection of books and manuscripts, miniature paintings, prints, drawings and decorative arts, some dating from the year 2700 BC. Housing artifacts primarily from Asia, the Middle East, Africa and Europe the Library offers a marvellous insight into the religions and cultures of the world. The Library was awarded the title 'European Museum of the Year' in 2002. 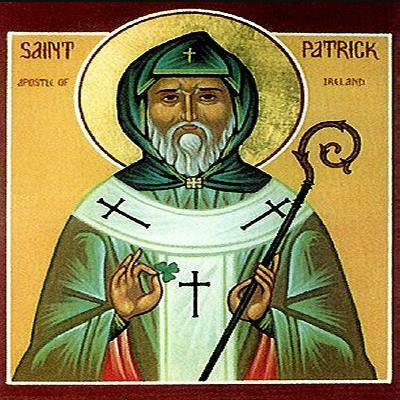 Saint Patrick's Cathedral is the National Cathedral of the Church of Ireland (Anglican). It is located on St. Patrick's Close near Kevin Street. The famous 'Door of Reconciliation' from 1492 which gave rise to the expression 'chancing your arm' and 'chancer' is located in the Cathedral's north transept. The Choir stalls of Saint Patrick's Cathedral once served as a Chapel to 'The Most Illustrious Order of the Knights of Saint Patrick'. 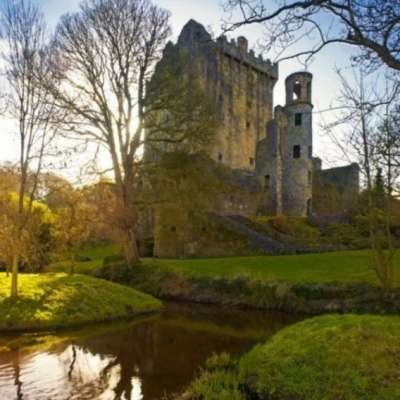 'Kissing the Blarney Stone' has become something of a tourist obligation for visitors to Ireland, along with visiting the Book of Kells and Newgrange. 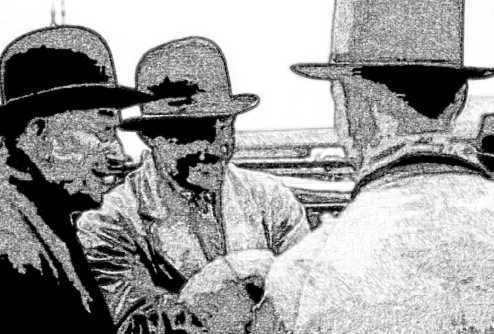 Tradition has it that any person who has kissed the stone will never be short of words - the 'gift of the gab' so to speak. It is easy to distil a visit to Blarney Castle into this sole purpose but that would be a big mistake. The Castle has a lot more to offer. The Science Gallery in the heart of Dublin is a unique venue in that it does not have a permanent collection of exhibits. Exhibitions include events, talks, debates and workshops, giving visitors the chance to get involved. The range of science topics covered is very broad with exhibitions covering such diverse subjects as learning how to transform old electronics into new musical instruments to a study of Oscillators from an economist's point of view. The Holy Cross Abbey is a restored Cistercian Monastery and is located near Thurles in the heart of County Tipperary, less than a two-hours drive from Dublin, some 150km. A fragment of the 'true cross' on which Christ died was granted to the Abbey by the Plantagenet Queen, Isabella of Angouleme in the thirteenth century, estimated to be the year 1233. Kilmainham Gaol is the largest unoccupied gaol in these islands. 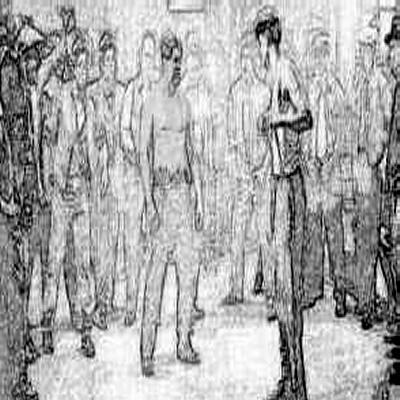 As such, it gives the visitor a dramatic and realistic insight into what it was like to be a prisoner in one of these strongholds of punishment and correction between 1796, when it opened, and 1924 when it closed. Leaders of the rebellions of 1798, 1803, 1848, 1867 and 1916 were detained here. 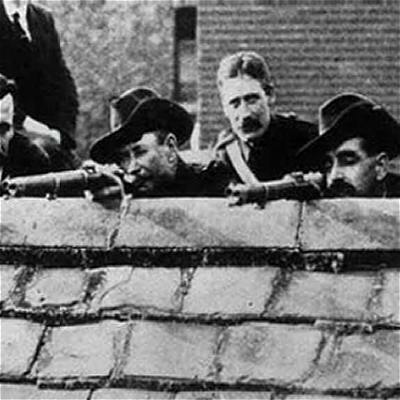 The names of Robert Emmet, Thomas Francis Meagher, Charles Stewart Parnell, the leaders of the 1916 Rising, deValera and a host of others in Irish history are associated with the Gaol. 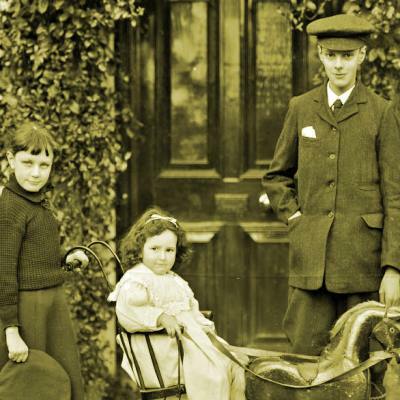 The tourist site at Bunratty has been described as a 'window on Ireland's past'. 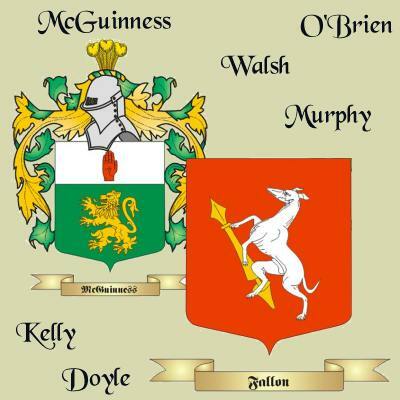 The site offers an exploration of the 15th century Bunratty Castle, the 19th century Bunratty Folk Park and the Village Street in Bunratty. Built in 1425 the Castle is now fully restored and is perhaps the finest example of a medieval castle in Ireland. 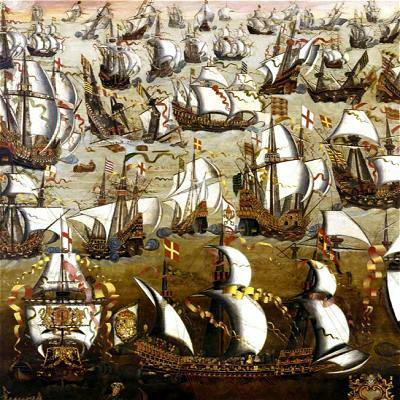 It houses a fine collection of medieval furniture and has a recreation of houses and cottages around its walls, much as they may have existed centuries ago. 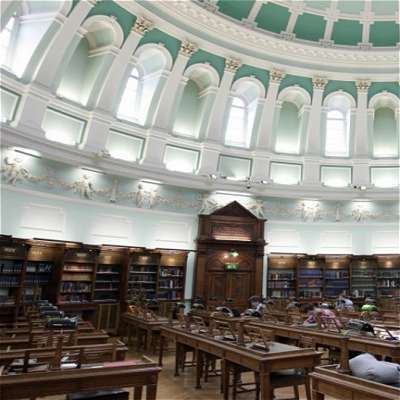 The National Library of Ireland is perhaps one of the more unusual tourist attractions in Ireland. 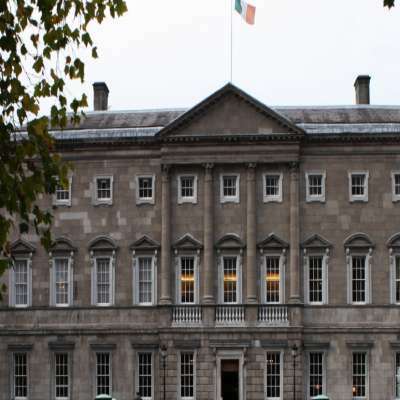 It is located next door to the Irish parliament (Dail Eireann) and thus is in the very heart of Dublin city, adjacent to Trinity College and nearby St. Stephens Green. 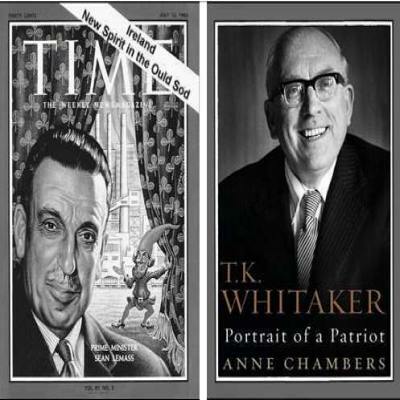 The Library hosts an ongoing program of exhibitions which are free to view. 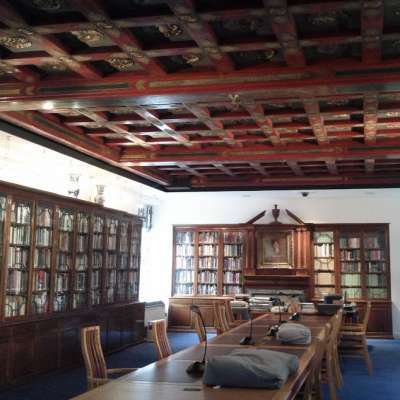 The Library also hosts a wide variety of events including poetry and music recitals, public lectures, theatre, story-telling for children and much more. 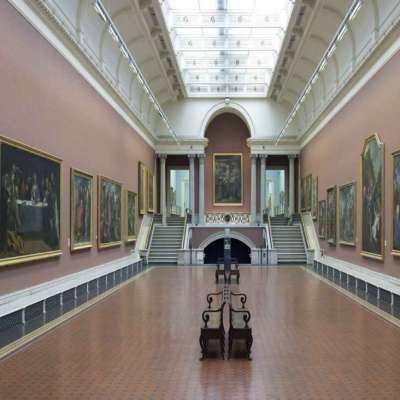 The Hugh Lane Gallery in Dublin is one of the world's oldest Galleries of Modern and Contemporary Art and is located at Parnell Square, near the top of O'Connell Street, a short walk from the GPO and the Dublin Spire. 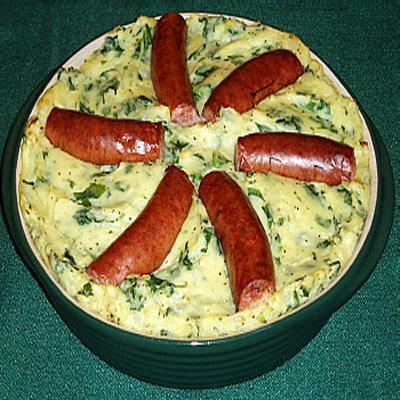 It is thus right in the heart of the city and can esily be included in a day-trip itinerary of sights to see in Dublin. Neaby Trinity College houses the Book of Kells while nearby Christchurch Cathedral and the Dublinia Exhibition are just a brisk walk up Dame Street. 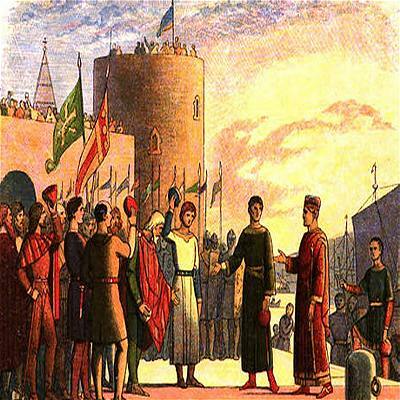 Cashel, once the seat of Munster and capital of the southern province. 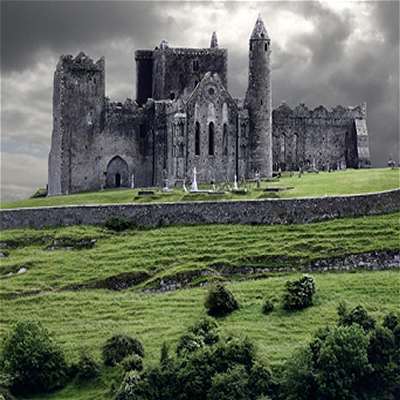 Today's town lives under the protection of the Rock of Cashel and its cluster of medieval monuments which rises dramatically out of Tipperary's Golden Vale. Today King Cormac's Royal Chapel can be viewed by the visitor on the Rock of Cashel. 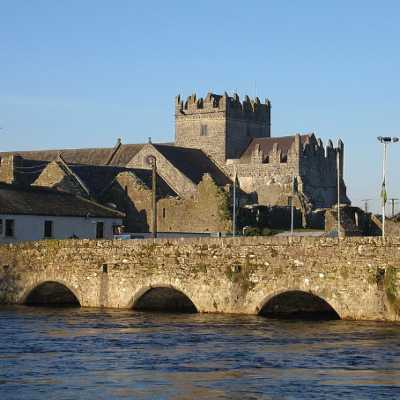 The Heritage Town Centre on Main Street provides a series of changing exhibitions and a model of Cashel in the 1640's with a multimedia presentation in 6 languages and also a unique display of 'Royal Heirlooms'. 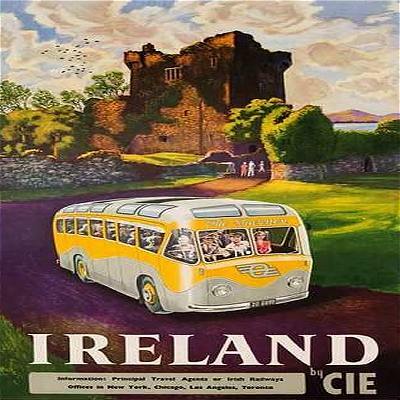 Ireland is blessed with many sites and attractions to delight visitors. 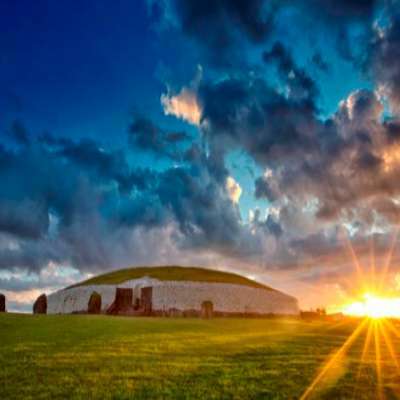 Perhaps none can be regarded as being as 'pure' an experience as Newgrange. 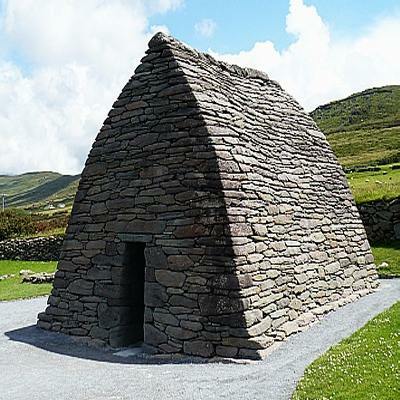 There is just no escaping the connection that a visitor can make with Ireland and the Irish culture by a visit to these ancient stones and rocks. It is as close an experience as you will get to connecting with the ancient peoples who lived on this island. Dont underestimate the less well known sites of Dowth and Knowth. Amazing. The impressive buildings of the National Library near Castlebar in County Mayo offer views of Irish history from a 'country life' and rural perspective focusing on the 100 years between 1850 and 1950. 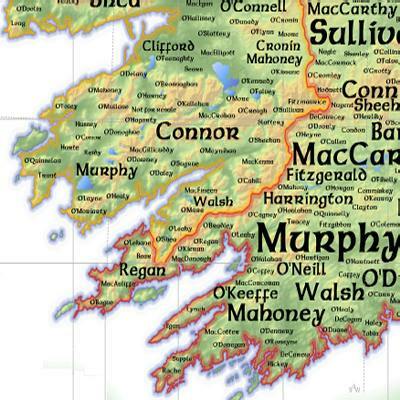 Connemara National Park is located in County Galway in the very western part of Ireland. 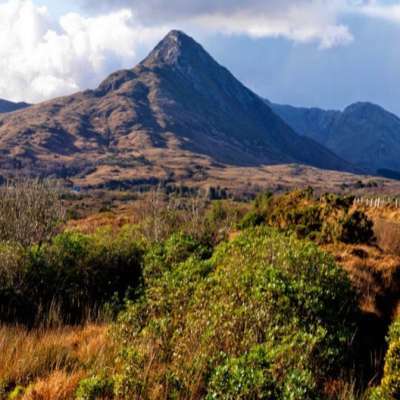 You could easily spend an entire week exploring Connemara and Galway with so much fantastic scenery and so many hidden gems of villages and towns. 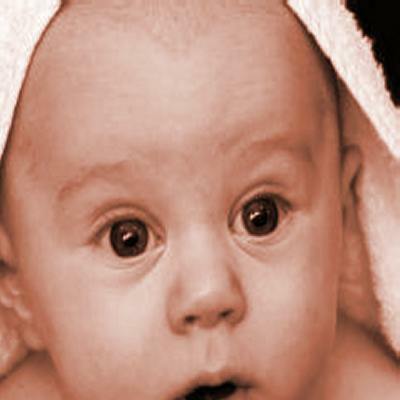 The park is kid-friendly too so a great family experience is assured. 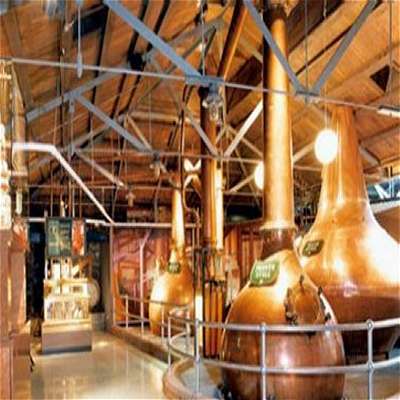 The Old Distillery in Smithfield is home to one of Ireland's most famous whiskey brands - Jameson. 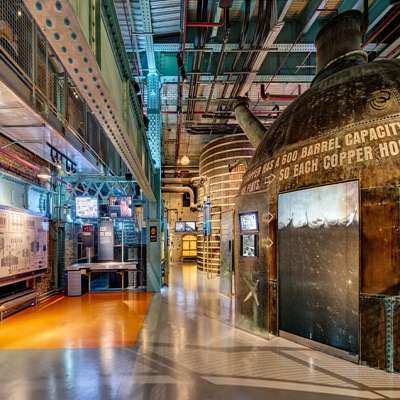 Visitors can learn about the life of John Jameson as well as the secrets that go into making the famous Irish whiskey. There is even a free tasting session at the end of the tour! 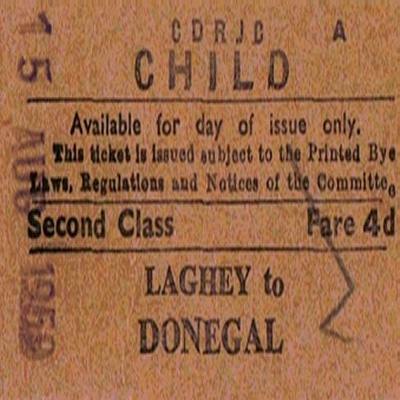 The city museum in Galway is marvellously situated with stunning views of the Ocean. 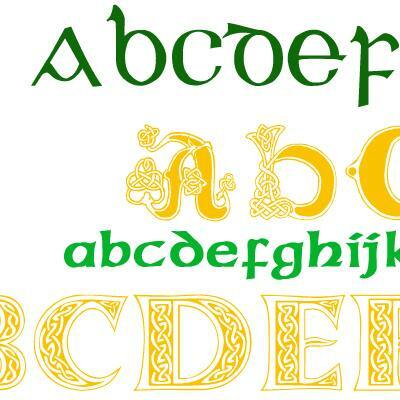 It is set right in the very heart of Galway City and is well worth a visit. 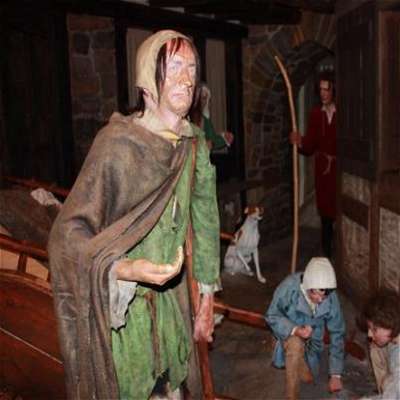 The museum primarily explores the rich history of Galway and examines life in the western part of Ireland from the earliest times right up to the modern day. 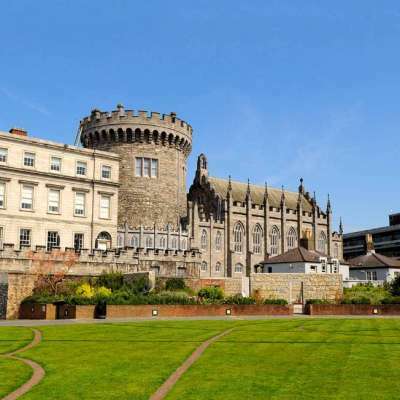 Dublin Castle is an imposing ancient structure in the heart of Dublin city. 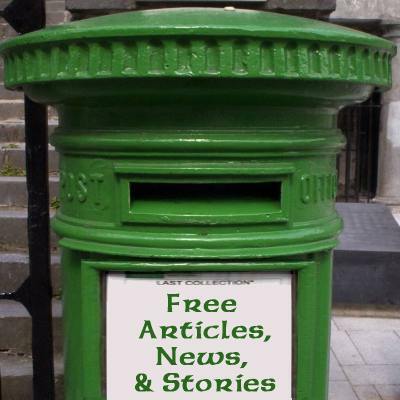 It is located between Trinity College and Christchurch Cathedral off Dame Street. 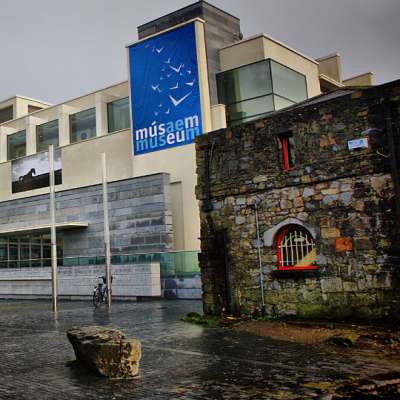 The site is also home to the famous Chester Beatty Library which is also well worth viewing. 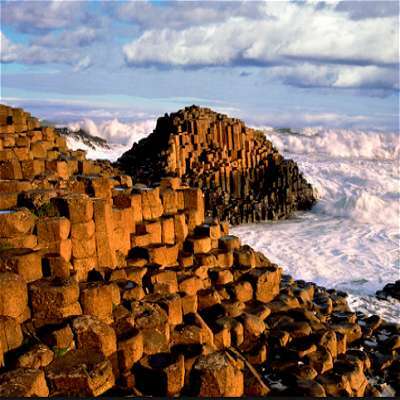 The Giant's Causeway in County Antrim is located at the very tip of Ireland. 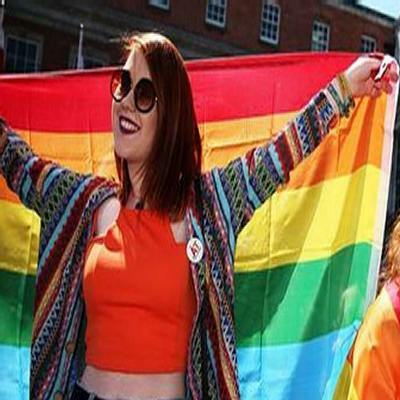 A day-trip from Dublin is possible although it is well worth spending a few days in this most scenic part of Ireland where there is lots to explore and experience. Of course the biggest attraction is the ancient volcanic columns said to have been created by Finn McCool himself! 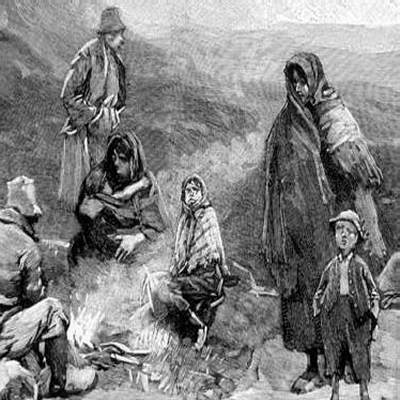 The Irish Parliament can be visited for free but be sure to bring identification. Arriving early is highly recommended. 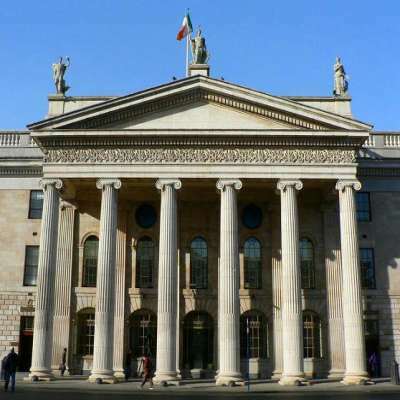 Located on Kildare street near the National Museum and the Mansion House the Parliament grounds are just a matter of yards from St. Stephens Green in the heart of Dublin city. The National Wax Museum is a very handy place to visit if you happen to have kids in tow and/or it is raining! Located just across from the main entrance to Trinity College on Dame Street in Dublin city centre the Museum is typical of its kind but be warned that some of the exhibits are not appropriate for younger children..
Dublinia is an exhibition of Viking and medieval history that is located near Christchurch Cathedral and a host of other Dublin tourist attractions. 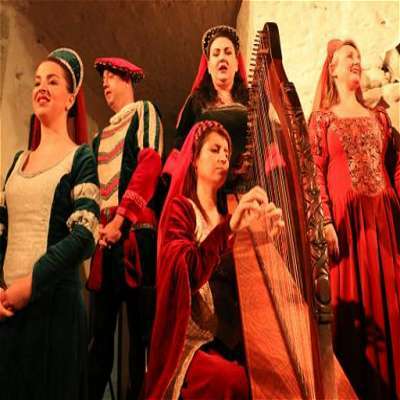 This indoor tour will transport visitors to Dublin city of a thousand years ago. Genuine Viking artifacts can be viewed as part of the tour. 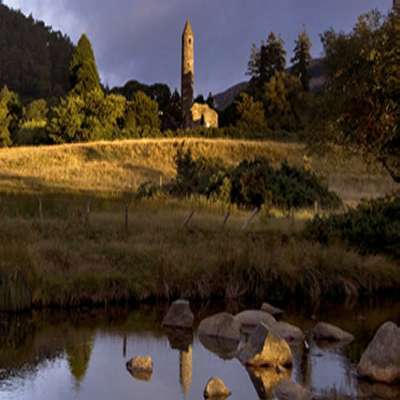 Glendalough is a free-to-visit Monastic site nestled deep within the Wicklow Mountains. 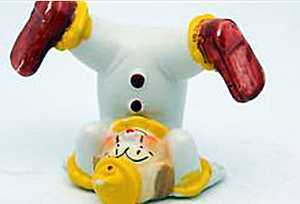 Be prepared to walk when you arrive as this is one of those tourist attractions where your enjoyment will be directly dependent on the amount of effort you are willing to expend. But it is worth it! 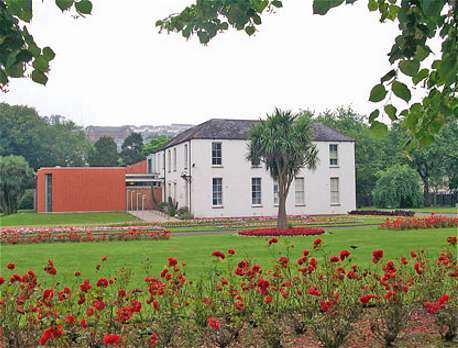 The gardens at Fitzgerald's Park are home to the fine Cork Museum. This is a great place to entertain both children and adults as the park is home to a playground and plenty of acreage to run about in, while the Museum can later be explored and some life-saving caffeine enjoyed in the Cafe. And only a short walk from Cork City Centre. Aillwee Cave is a network of over 1km of Caves stretching under the Burren in County Clare, in the very western part of Ireland. 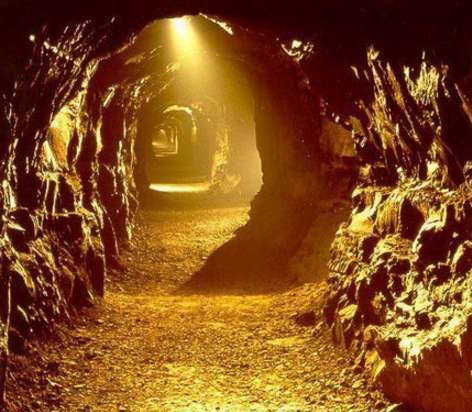 Ireland is blessed with fantastic scenery above ground but is also quite beautiful underground. This is a good place to explore with older kids but extra thought should be given if you are considering bringing younger children. 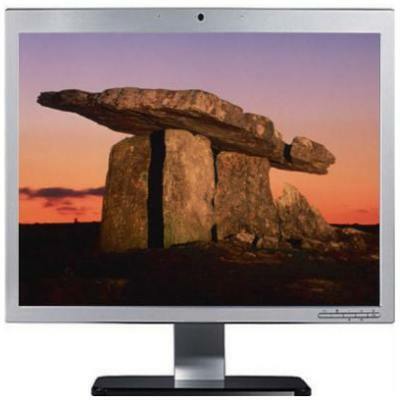 It is possible that the Cairns at Loughcrew Cairns in County Meath are the oldest existing human dwelling in the entire world. 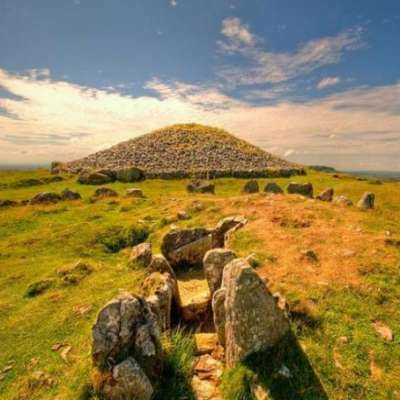 This prehistoric site is located a short distance from Dublin and apart from the wonderful experience of visiting the Cairns is also home to a fine house and gardens. 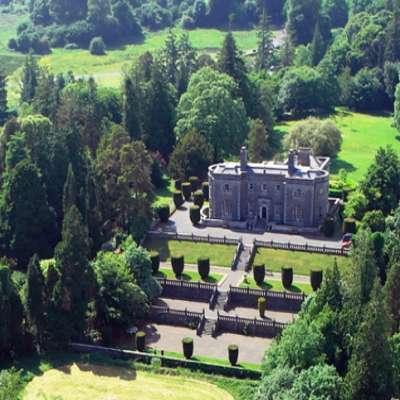 Belvedere House was built in the year 1740 and is set on 160 acres of landscaped gardens, wild forest and rambling walking trails. 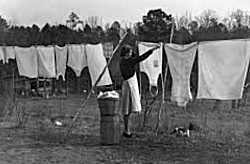 Dotted with several 'follies' including the infamous 'jealous wall' a walk around the grounds can be followed by a tour of the house and then a visit to the cafe and kids playground. 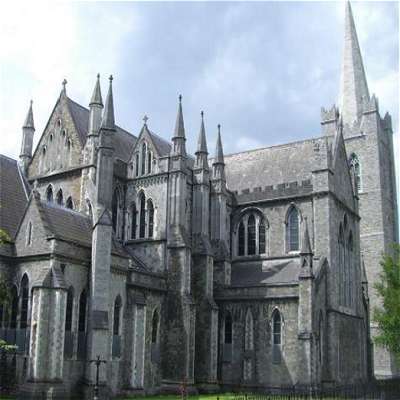 The ancient Cathedral of Christchurch is located smack bang in the middle of Viking Dublin. 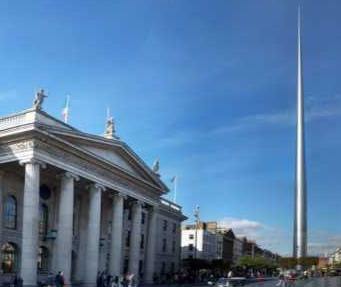 It is a short walk from Trinity College and O'Connell Street and is adjacent to the Dublinia exhibition. The Cathedral is home to the tomb of Strongbow, a medieval crypt that houses the oldest known secular carvings in Ireland, and is a magnificent oasis of calm away from the bustling Dublin streets outside.